I know many of you here still get a big nostalgic feeling when hearing about the word phrase, ‘GameBoy Advance.’ Mario, Castlevania, and other old-school games were the most amazing thing back. Some of us playing those games would now be amazed as well. Fortunately, playing the GBA games directly on your Android smartphones with some GBA Emulators is now possible. So I have collected a list of best GBA emulators for Android so that you can play GameBoy Advance games right on your phone. Some of these GBA emulators are totally free, but some require a small fee. My Boy GBA emulator is estimated to be the best GBA emulator currently available on the Play store. Only with 5$, you will get a load of features from this emulator. My Boy is compatible with all Android devices and GBA titles. It also comes with instant save states; supports cheat code, speed up gameplay and other great features. You can even use an external keyboard or controller to play your game. While My Boy! also has a free version, it loads with fewer features than the paid one. The free version doesn’t support external controllers, and cannot save your game whenever you want. Commodore 64 is a very stable GBA Emulators emulator that you should give it a try. It has a very user-friendly interface and even supports both FastSID and ReSID. C64.emu works well in both portrait and landscape mode, supports controllers to help users get a better experience. There are also configurable multi-touch controls on the screen. MyGBA is a modified version of the open Gameboid source code, so it’s free to use. However, MyGBA does not allow cheating codes, so you might have the fun of cheating. Luckily, the emulator supports instant save states so that you can continue playing your favorite game without worrying about losing saved data. Since it’s a free emulator for playing GameBoy advance, it’s no harm in having it a try. John GBA is a lightweight GBA emulator that works on Android running Android 4.4.2 KitKat or higher version. 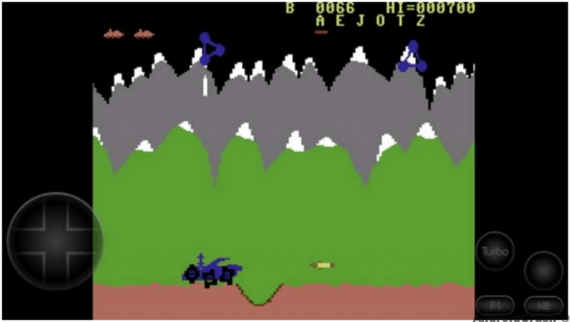 This emulator supports cheat codes, saves states, and even allows you to take screenshots of the game. John GBA also works with external controllers, allows restoring backup files from Dropbox. There is a free version, called John GBA Lite, but it comes with ads. If you don’t want ads, you can pay a few dollars to get the paid version and remove annoying Ads when playing GBA games. Nostalgia GBC emulator includes unique features. The emulator is now available in both free and paid version, with the free version coming with ads. Since it has turbo buttons, the Nostalgia GBC supports most GBA Android games. The main feature of the emulator is that you can rewind the game to can fix any mistake or relive the great moment in the game glory. 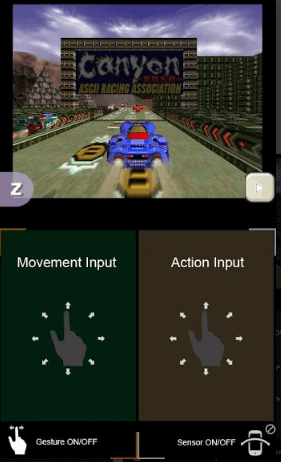 Classic Boy is not only a simple and lightweight GBA emulator, which can play GBA emulator games on Android, but you can also play SNES, PS1, and Game Boy Color. If you feel bored with playing GBA titles, you can then switch to other gaming platforms with this emulator. While Classic Boy doesn’t work with all titles and is not the best GBA emulator when compared to the rest in the list, it has a wide emulator support and especially, it’s free. Similar to ClassicBoy, EmuBox includes a number of emulators. 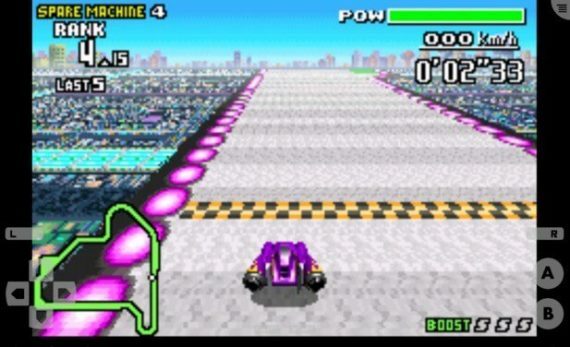 Apart from GBA, it even supports Nintendo DS, PlayStation, SNES, and GB Color. Common features such as instant save states, speed up support, cheat codes support and other great features. However, EmuBox comes with ads, which could hinder your experience when playing games. It is an advanced GBA emulator for Android devices available now with loading a wide range of unique features, which you cannot find on other GBA emulators from my list. GBA.emu will be possible to change the save state files just with the GBA emulator – VBA-M. It means you can take out your save files from the VBA-M and then use the GBA.emu to continue playing on your Android device. 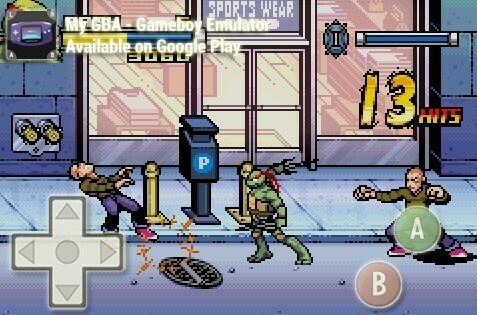 This emulator also supports cheat codes, controllers and even has a free pre-loaded for testing your device. Its free version supports cheat codes as the PC emulator VBA-M, there will not be any problems when playing GBA titles on your Android device. There is a free game preloaded, which lets you test it out on your phone. 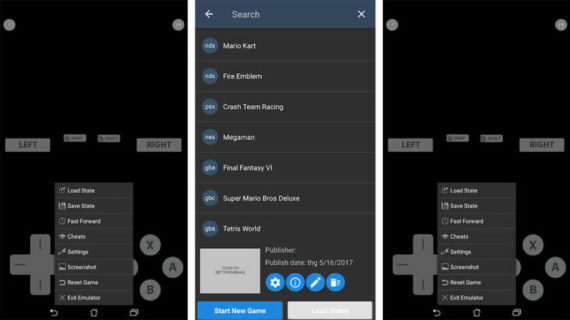 RetroArch is a multi-system emulator with the Liberto development interface. This system uses cores, which are for a game emulator. With RetroArch, you can play GB Color, Game Advanced Buy, and, of course, the original Game Boy. Although it’s not feature-rich as other GBA Emulators in the list, the strongest point of this emulator comes from its compatibility. Furthermore, RetroArch is an open source GBA emulator, completely free and especially without ads. However, the interface can be a little bit complicated, so you have to follow the on-screen tutorials to get it to work. The last one in my list is John GBC emulator, which works with both Game Boy Color and Advanced. It’s’ created by the same developer who developed John GBA emulator. The only unique thing about John GBC emulator is that it includes the original Game Boy Color (GBC) engine. There are also other great features like game search, turbo buttons, Dropbox support, and offline work. John GBC also comes with the free version John GBC lite with the ads littering. 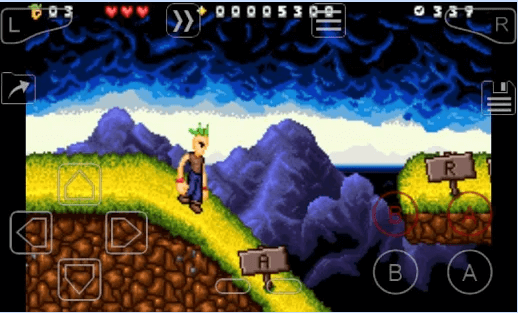 These are 10 best GBA emulators for Android devices. You can try out the free versions before spending a few dollars on the paid GBA emulators. I hope you can get the best GBA emulators for your Android device after this post.